In 2001, I graduated from Eötvös Loránd’s Faculty of Law based in the Hungarian town of Győr. After university, my path led to the Constitutional Court of Hungary, where I worked with Justice Dr. Ottó Czúcz and contributed to the drafts of numerous decisions. A year and a half later I took a position at the Department of Codification of Public Law of the Ministry of Justice, spending nearly three years there working on a great variety of codification projects. At the same time, I took part in a three-month internship at the European Court of Human Rights (ECHR) in Strasbourg. After my internship the ECHR offered me a job, which I was delighted to accept. I spent four years at the ECHR, helping draft over 1,000 draft decisions both in English and in French. After returning to Hungary in 2009, I began working as a lawyer at an international law firm. Two years later, in 2011, I decided to start my own, independent law office. I founded the Karsai Dániel Law Office with a specific aim: to focus on cases dealing with constitutional law and human rights issues. I see my task primarily as providing advisory services and of raising awareness in the widest scope possible with regards to constitutional law and human rights. To this end, I collaborate with numerous reputed human rights NGOs, such as the Hungarian Helsinki Committee and the Transparency International Hungary. 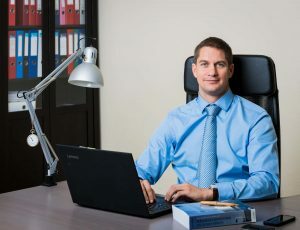 During the operation of my law practice, I have successfully represented clients in a number of cases, both before the Hungarian Constitutional Court and before the ECHR. Without being exhaustive, here are a few examples of these cases: I successfully brought the “98% special tax” case to ECHR, have dealt with numerous complaints from inmates, small churches that had been deprived of their status, persons condemned to imprisonment for life, many violations of rights connected with protracted proceedings both in civil and criminal law, and – last but not least – we defended the freedom of speech of opposition MPs before the Grand Chamber of the ECHR. I was successful before the Constitutional Court in our representation of the small churches deprived of their rights, as well as with claimants who had suffered violations of their property rights and in cases connected with the freedom of public data. My Law Firm also deals with cases involving the defence of privacy, data protection (GDPR) consulting, as well as legal representation in labour law litigation. The November 2016 special issue of the Hungarian economic monthly Haszon published a list of its 100 top-rated Hungarian attorneys. The Karsai Dániel Law Office had the honour of being listed among this distinguished company as a law office specialised in human rights. Over the last few years, I have published a number of research papers and articles (which you can browse under the “Publications” menu point) in connection with which I have given many interviews. Under the “News”, I endeavour to provide access to legislative amendments as well as the more significant decisions by the Constitutional Court and the ECHR. Naturally, the aforementioned is nothing but the tip of the iceberg of public law. If you have any questions or requests, please feel free to contact me. I make every effort to answer queries in the shortest time possible and to find a solution to the problems raised.